Pop mega-star Beyoncé has spent much of 2013 teasing a new album. While we've yet to receive proper details on the new release, a teaser for the video of her new single "Grown Woman" has hit the web. The clip offers over a minute of footage and studio-quality audio of the song. It's a nice taste of the bouncy single, offering music that's at once tribal and tropical, complete with Beyoncé's refrain of "I'm a grown woman, I can do whatever I want." 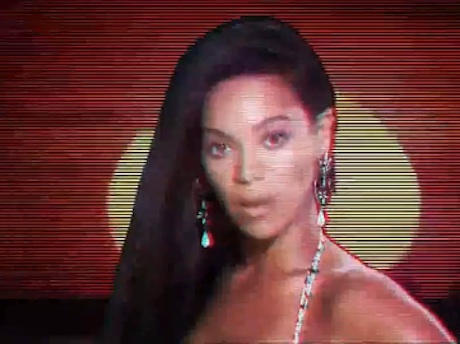 The video utilizes plenty of '90s techniques, including VHS tracking and television static. Ultimately, though, it's all about the loud outfits and playful dancing. Check out a snippet of the "Grown Woman" video below.